There’s no argument that Daigrepont’s fifth disc and first since 1999’s Paradis is highly unusual: 21 tracks of solo accordion and voice. 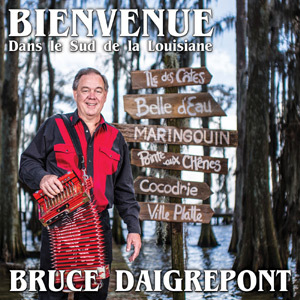 Initially, the idea of a 21-track solo accordion affair is like drinking from a fire hose but astonishingly to his credit, Daigrepont makes it flow well by carefully sequencing the selections. Tempos shift up and down, keys change and moods contrast from track to track. On “La Valse De La Riviere Rouge,” he tosses in delightfully pausing accents as if it were a signal to change partners at a 19th century society dance. Since there are no accompanying sidemen, the accordion is clearly audible, revealing the real ornamentation of Daigrepont’s playing. 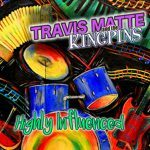 Additionally, he maintains his reputation as one of Cajun music’s most prolific storytelling songsmiths with eight new originals. Undoubtedly they’ll touch the cockles of the Cajun heart with culturally-rooted topics ranging from family memories and avoiding marriage to lighter fare, such as horse racing, dapper elderly bachelors and Cajun music festivals where heart healthy food (hot boudin and cold beer) is readily available. 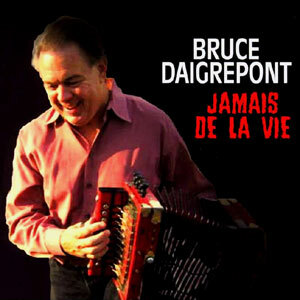 Give it a few spins and it begins to feel quite intimate, as if the listener were treated to an afternoon of hanging out with Daigrepont while he plays his accordion and converses between songs. ~Album review excerpt from Offbeat Magazine. 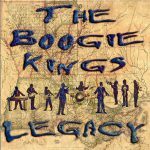 Released in 2012, 21 tracks.